Online Degrees | Blog | LCSW or LMSW: Which is right for you? LCSW or LMSW: Which is right for you? Obtaining licensure is one of the primary outcomes of many Master of Social Work (MSW) programs. The online MSW at Regis College focuses on preparing students for professional careers, including offering coursework and experiential opportunities that can position students to obtain licensure. Getting your license can help you find a higher-level job and is often necessary for work in some fields. Licensed Master Social Worker (LMSW): This license serves as recognition that a social worker has developed the competencies needed for practice in the field. More than 16,800 LMSW exams were taken in 2017, with participants passing at an 81.2 percent rate. Licensed Clinical Social Worker (LCSW): The highest level of certification available from the ASWB, the LCSW certification recognizes an individual as having the expertise needed to engage in clinical practice independently. Just more than 16,000 LCSW exams were taken in 2017, with 78.4 percent of exam-takers earning a passing grade. The LMSW and LCSW both recognize that a social worker has acquired necessary competencies to work at a high level in the social work field. With this in mind, let’s look at the two licenses and how they differ. What do the licenses allow professionals to do? Licensure is necessary to allow social workers to practice in various settings and job roles. While some social work jobs may not require a license or will only demand a lower-level certification, many positions come with a requirement or strong preference for individuals to be licensed, either in the form of the LMSW or the LCSW. According to a report from the tutoring agency, Noodle, the LMSW serves as a sort of entry point into clinical social work, recognizing professionals as qualified for clinical practice, but only if they are supervised by an individual with the LCSW certification or a similarly qualified professional. The LMSW can also function as a more general form of licensure, highlighting that an individual has achieved a high level of expertise through the pursuit of an MSW degree that is useful in settings outside of clinical practice, such as in management. According to Noodle, the LCSW licensure is a higher tier of certification that allows professionals to pursue advanced areas of practice, including offering mental health services or going into private practice. An MSW degree is required regardless of which certification you are initially seeking. It’s also worth noting that the specifics of what is required for each certification can vary substantially depending on the state where you hope to work. It’s vital to check with your state board to get more details about licensure before you pursue an MSW degree so you can be sure about where you stand and what you need to do to achieve your goals. All of those details aside, the difference between LMSW and LCSW boils down to one allowing individuals to engage in clinical practice under supervision (LMSW) while the other makes private practice an option (LCSW). That isn’t the only differentiator, but it is the most essential point of distinction between the LMSW and LCSW. What do the exams look like? Because the LMSW and LCSW both cover some similar competencies, the exams that the ASWB uses to assess individuals do feature comparable materials. For example, both exams include a section on human development, diversity, and behavior in the environment. However, each covers different areas of knowledge, skills, and abilities. The LMSW exam covers human growth and development, concepts of abuse and neglect, diversity, social/economic justice, and oppression. The comparable LCSW section includes a shorter list of human growth and development issues alongside such topics as human behavior in the social environment and diversity and discrimination. 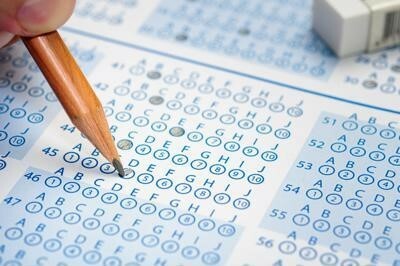 Many of the specific topics in place are similar across the two, but the human development, diversity, and behavior in the environment section of the exam is given slightly more emphasis in the LMSW version of the test. There are additional differences in the exams, each of which highlight the importance of clinical work. For example, the LMSW test has a section on assessment and intervention planning that covers 24 percent of the test. It also includes a segment on interventions with clients/client systems. In contrast, the LCSW assessment includes a large section (27 percent of the exam) on psychotherapy, clinical interventions, and case management. These completely separate portions of the test represent the most prominent distinction in what is assessed in the two exams. However, it’s worth noting that the assessment and intervention planning section in the LCSW exam is a bit broader than the comparable segment in the LMSW test, as it incorporates assessment, diagnosis, and treatment planning, and it takes up 30 percent of the examination. With a higher-level certification, individuals who have obtained an LCSW license can expect a higher pay rate. PayScale found the average annual salary for those with an LCSW was $56,232 compared to approximately $49,000 for those with the LMSW license. Both LCSW and LMSW licenses require an MSW prior to the examination. State requirements about issues such as program accreditation, types of certification required, and similar specifics can vary, but the need for an MSW is fairly universal. Getting an advanced degree can serve as a springboard to move forward whether you are simply looking to earn your LMSW or to eventually achieve the LCSW license. The online MSW program at Regis College offers specialized coursework and experiential learning for clinical practice, making it a natural fit for those who eventually hope to gain an LCSW license. Reach out today to learn more about how we can help you get ready to obtain your license. The Regis College MSW program is currently in Candidacy status with the Council on Social Work Education (CSWE). As with all new MSW programs, the Regis College MSW program must complete a three-year candidacy period prior to receiving initial CSWE accreditation. A program that has attained CSWE Candidacy has demonstrated a commitment to meeting the compliance standards set by the Educational Policy and Accreditation Standards. The first site visit from CSWE occurred during fall 2018, the second and third site visits will occur in fall 2019, and in fall 2020. Students admitted to the program in fall 2018 and each semester thereafter will be recognized as having fully accredited MSW degrees once the program is granted Initial Accreditation (anticipated in spring 2021). Throughout the candidacy period, the MSW program must continue to demonstrate to CSWE its compliance with core competencies and practice behaviors outlined by CSWE. While attaining CSWE Candidacy does not guarantee that a program will eventually attain Initial Accreditation, it is expected that the Regis College MSW program accreditation will proceed successfully based on the commitment and expertise of the faculty, strong program leadership, and solid support of the college administration. Before being considered for admission, degree-seeking students should schedule an application appointment with their personal Admissions Advisor to discuss the application requirements and process. Schedule an appointment here: https://online.regiscollege.edu/vcita-all-programs/ . After your appointment, your Advisor will email you the application forms and link to Regis’ online application system, where you will submit the following forms and materials. Provide contact information for three people who have agreed to provide references for you. *Regis accepts applications of individuals completing their undergraduate degree on the provision that they will submit final transcripts following the completion of their undergraduate degree. Speak to an enrollment advisor for more information. Applicants are advised that the Regis College Social Work program includes a clinical/fieldwork component during which students are placed in clinical/healthcare environments (e.g. mental health clinics, hospitals, etc.) in order to obtain practical experience. Prior to such placement, applicants will undergo a criminal background check, the results of which may affect a student’s ability to participate in the clinical/fieldwork component. Applicants are further advised that licensure requirements in the field of Social Work may include a review of an individual’s criminal background. Applicants should contact the relevant licensing authority for further information. The fees required to obtain a background check and any additional tests are the sole responsibility of the student. The Online MSW program offers two tracks – a 60-credit Traditional track for non-BSW students, and a 30-credit Advanced Standing track for students who have completed their BSW in the past 5 years. The program also includes an experiential learning component with a field replacement requirement (900 hours/Traditional, 500 hours/Advanced Standing)*. *Similar to other MSW programs, the Regis MSW curriculum may include up to 1,110 hours of field work to ensure licensure requirements are met. 1. Which track are you interested in? Which track are you interested in?